Escape to the inspiring sights of Madrid, Granada, Costa del Sol, and Seville with an off-season vacation in Spain. Miss the crowds and skip the lines and higher prices of the high travel season, and join us for the flavors of Spain. 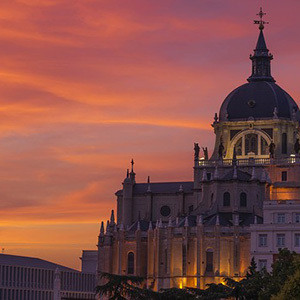 Begin in Madrid with guided sightseeing, and see the masterpieces of Goya, El Greco, Rubens, and more in Madrid’s Prado Museum. Visit the houses of worship in Toledo, including the Synagogue, the 13th-century gothic Cathedral, and the Church of Santo Tomé-featuring one of El Greco’s most famous paintings. 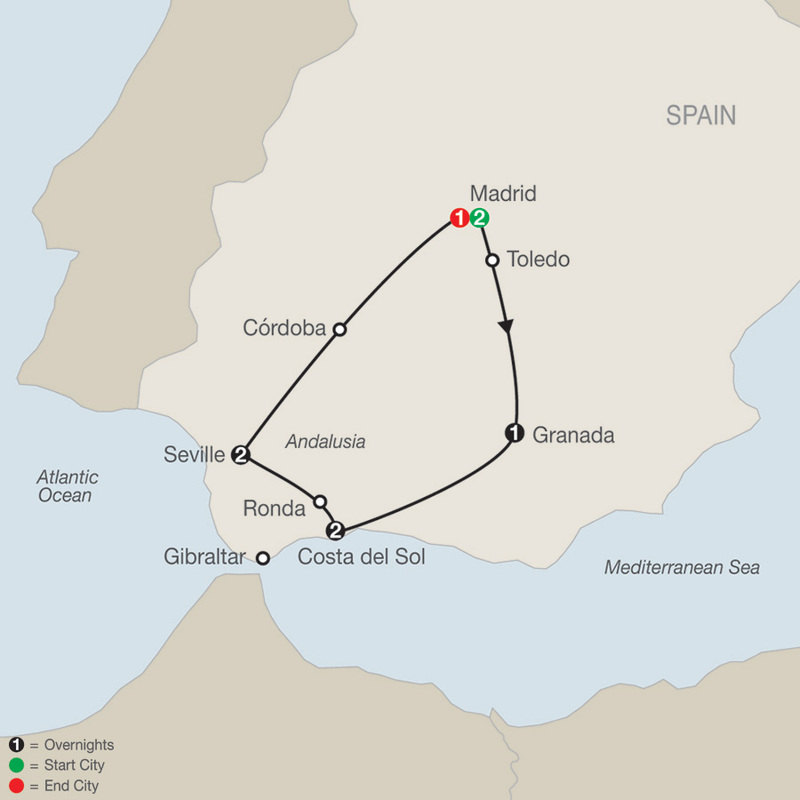 Pass the rolling hills of olive and orange groves through Andalusia to historic Granada. Visit the grand Alhambra complex and the Water Gardens of the Generalife. Travel to the Costa del Sol and visit Plaza de Toros, an 18th-century bullring in Ronda. Next, to Seville-capital of Andalusia, filled with intriguing sights, including a tobacco factory depicted in the opera Carmen. Visit the magnificent Casa de Pilatos with its Roman sculptures. Enjoy a guided tour of Cordoba before traveling through the landscapes of Don Quixote to return to Madrid for a farewell dinner. This Southern Spain off-season vacation is an escape you won’t want to miss!